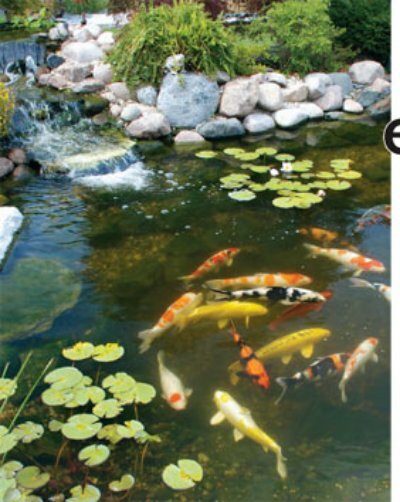 When putting items in your pond there are a few things to keep in mind. Since most plants need 4-6 hours of sunlight per day, a sunny location is important. On the other hand, fish need some shade and water that is 24-36 inches deep. During the summer months, when the weather gets hot,the surface water heats up. The fish need the depth to stay cool. The same for the winter months, when the water gets cold and starts to freeze,the fish will have a safe place to go. Don't use anything rough below the surface of the water because the fish can hurt themselves by rubbing up against it. I use a pump in my pond for aeration. It also helps with the ammonia build up and it keeps the water pure and clean. 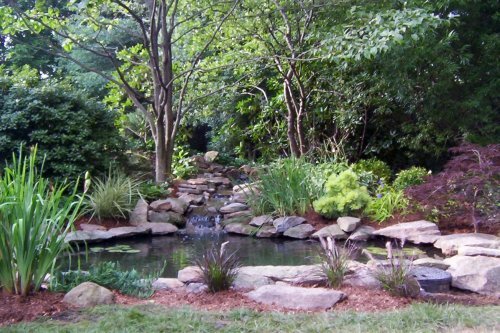 Plants and fish add so much color, life, and interest to your pond. Watching the fish is one of my favorite activities to do. If you're like me, you will have names for your fish and know their personalities. Over the years ponds have become quite popular and therefore, more and more items are available. Just remember to keep it simple and you will have a treasure to enjoy for many years. 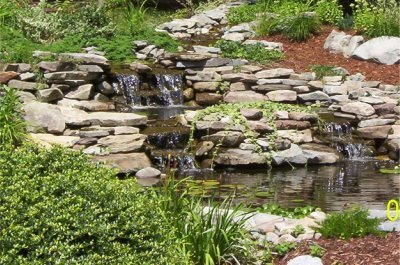 If you are interested in starting a pond and would like to get more technical information..Check out the websites at the bottom of the page. I'm sure they can give you all the information you will need.